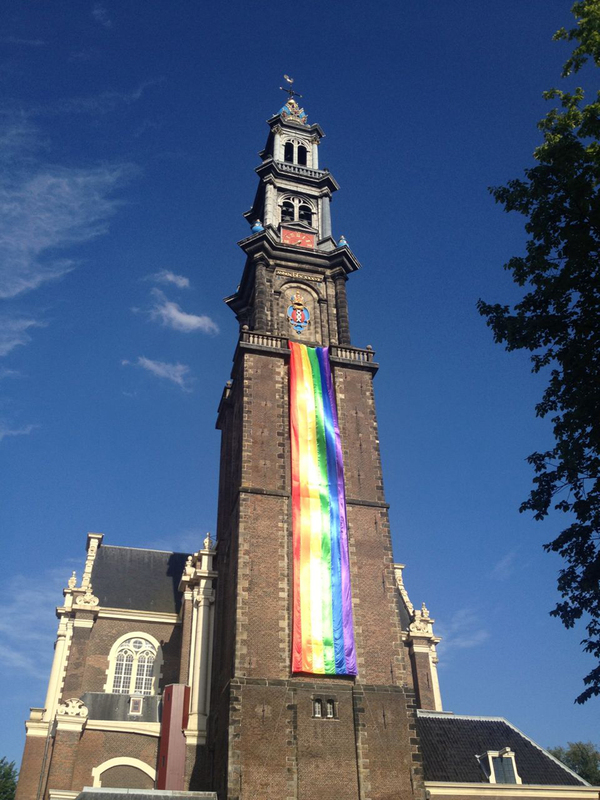 Even the Westertoren celebrates Amsterdam Gay Pride! 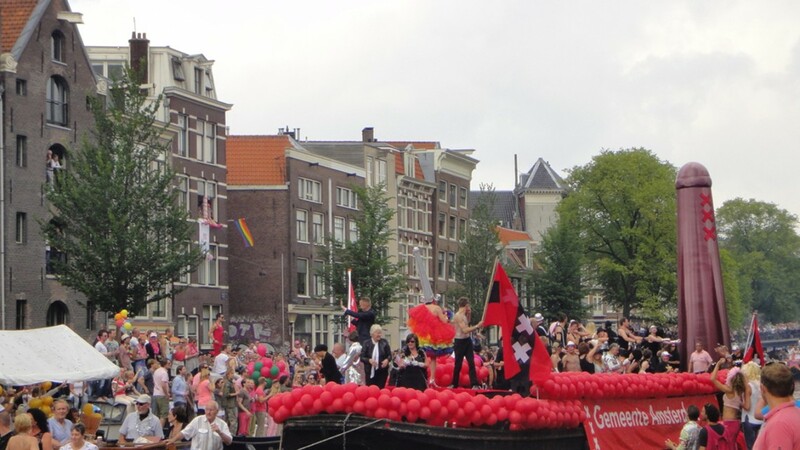 One of the biggest events of the year for Amsterdam is the Amsterdam Gay Pride parade on the first Saturday of August. 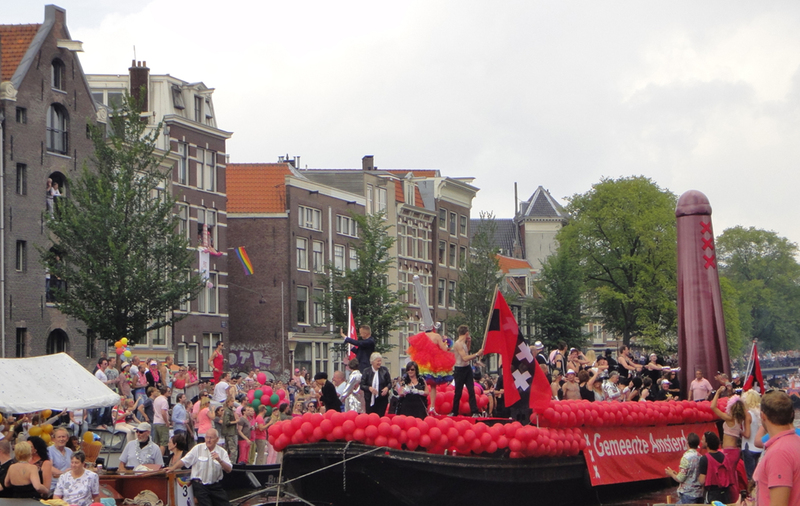 The canal parade is the only floating gay pride parade in the world (as far as I know) and was first organised in 1995. 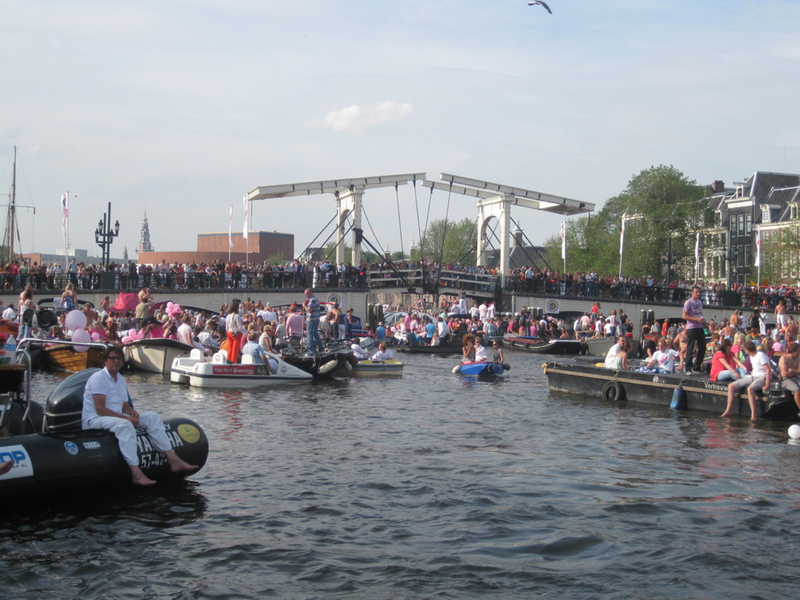 The canal parade is the most popular event of the Amsterdam Gay Pride week. 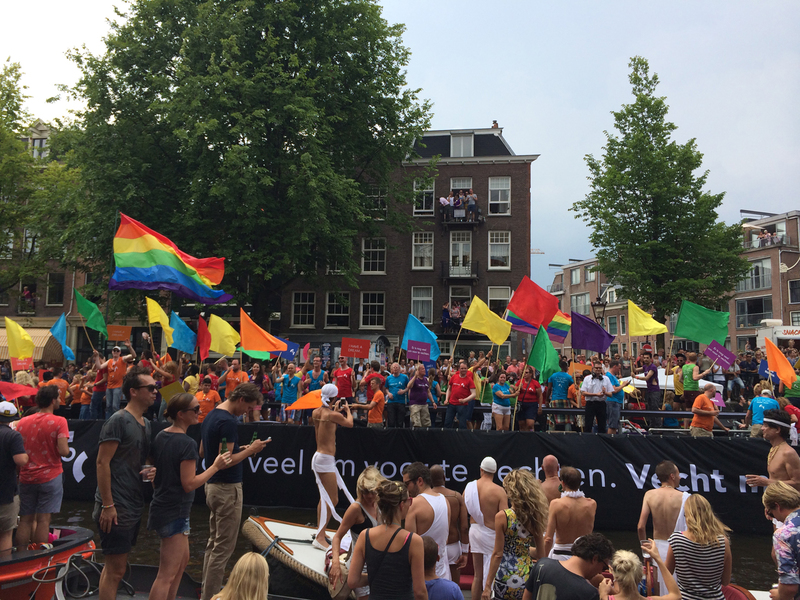 Around 80 boats will float through the Prinsengracht and Amstel, cheered on by around 450,000 spectators, making it the biggest pride parade of Europe. 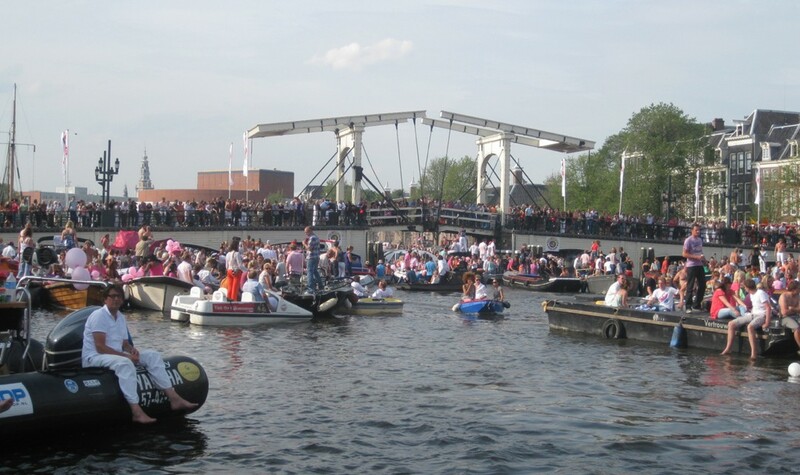 But as alluded, is the Amsterdam canal parade not the only event during this week. The week before the parade, many events and parties are organised. The week is full of sports events, debates, religious events, films, art, culture and yes also dance parties and street parties. 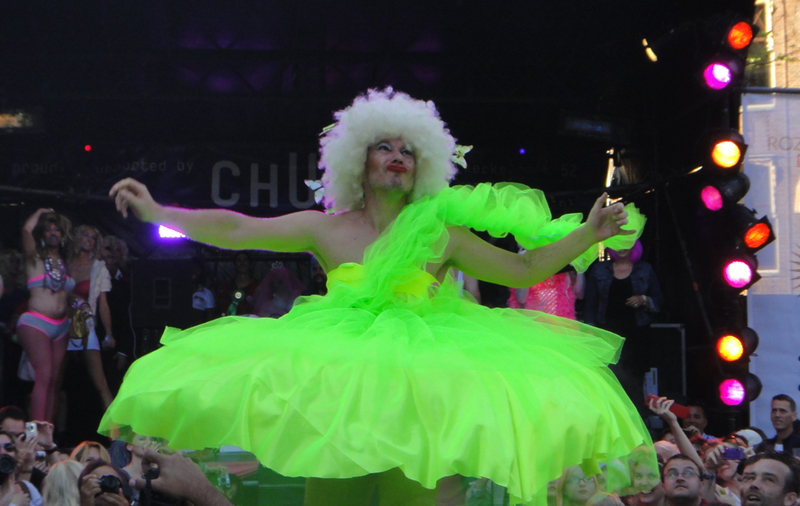 There are bigger and smaller events and not everything will be to your liking, but what I am trying to say is: don’t just focus on the parade and have a look at the agenda on Amsterdam Gay Pride’s website. There is some interesting stuff to see and to enjoy. 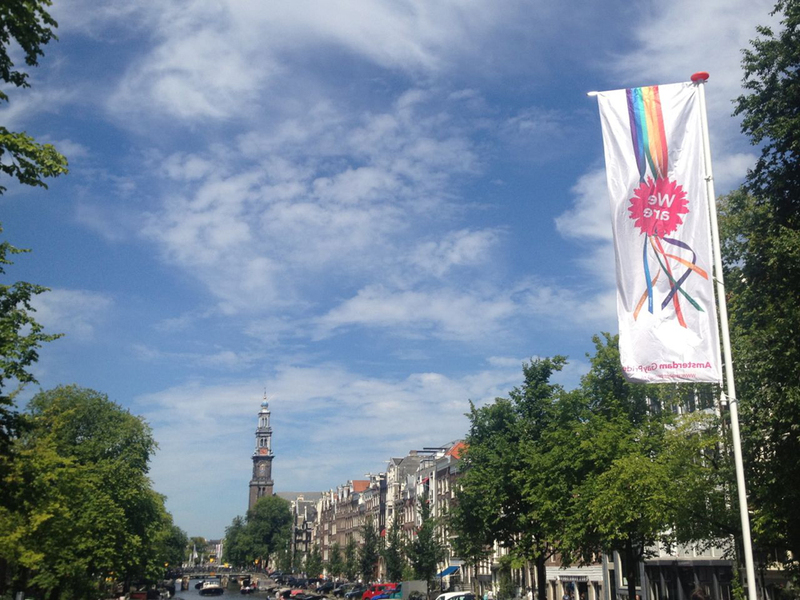 2016: Amsterdam Gay Pride becomes EuroPride! 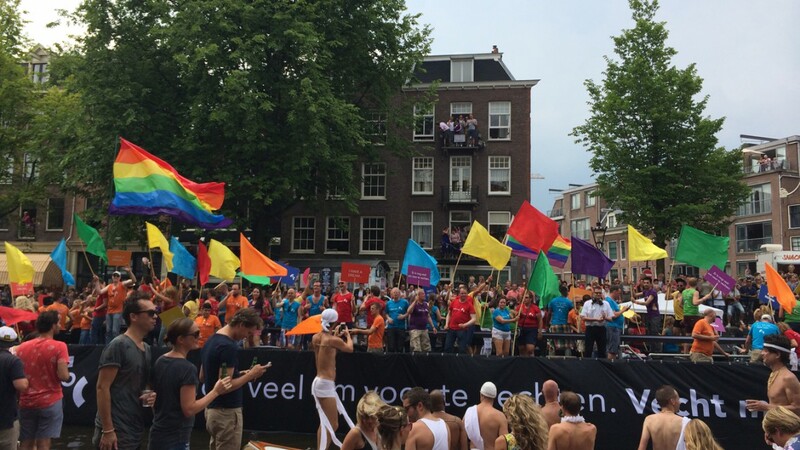 Amsterdam Gay Pride 2016 is bigger than ever. 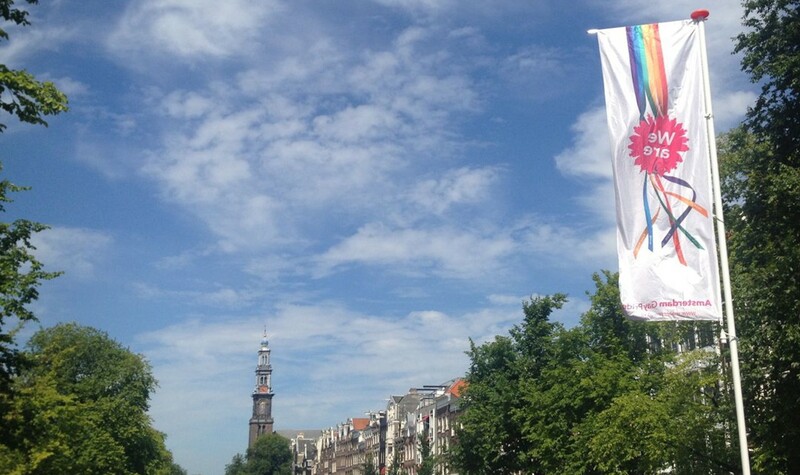 This year, Amsterdam hosts EuroPride. 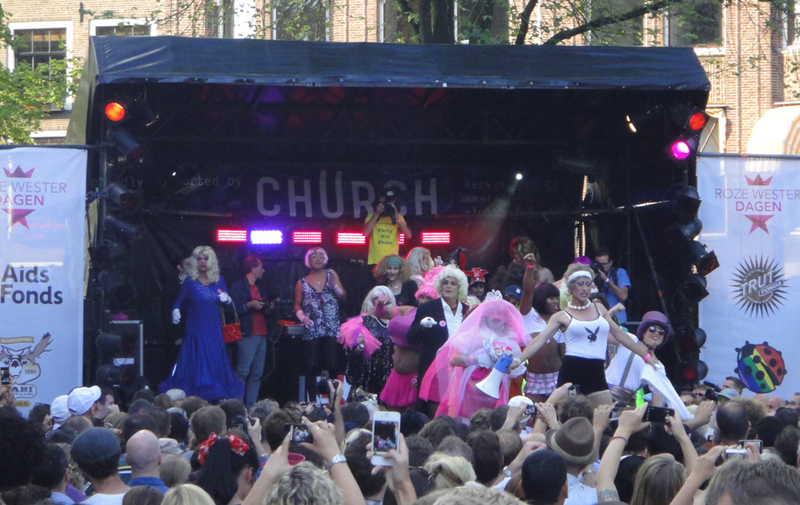 This biggest gay festival in Amsterdam will kick off with Roze Zaterdag (Pink Saturday) on 23 July 2016. With events in Vondelpark and at Dam Square. Making EuroPride last for fifteen days, including three weekends! 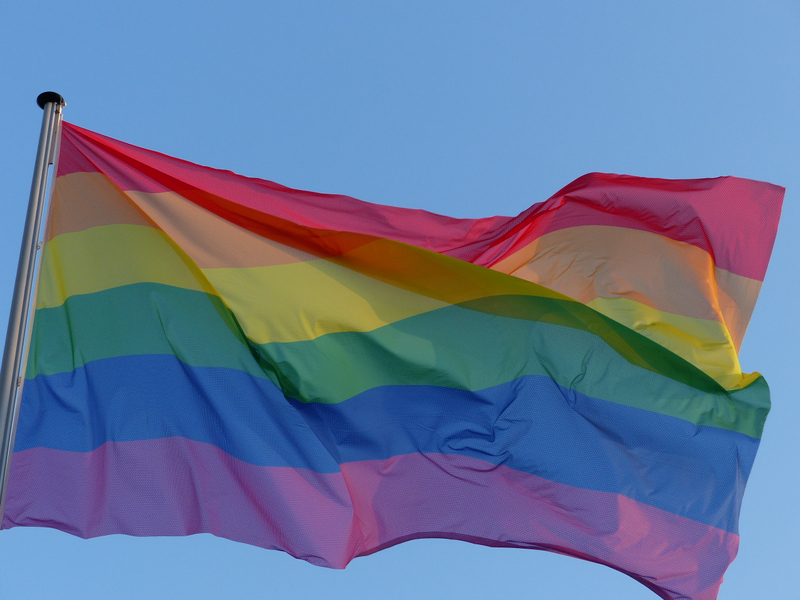 The theme of EuroPride 2016 is ‘JOIN our freedom, feel free to join us’. With this message Amsterdam aims at all European countries, especially at countries where people can not be themselves yet, or where human rights are under pressure. 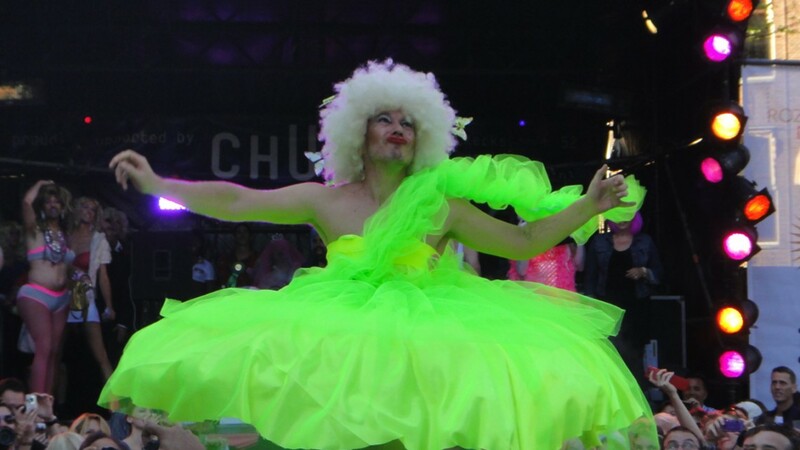 Check this video of our vlog partner Dutchified to get a great impression from the water of what to expect at the Amsterdam Gay Pride. 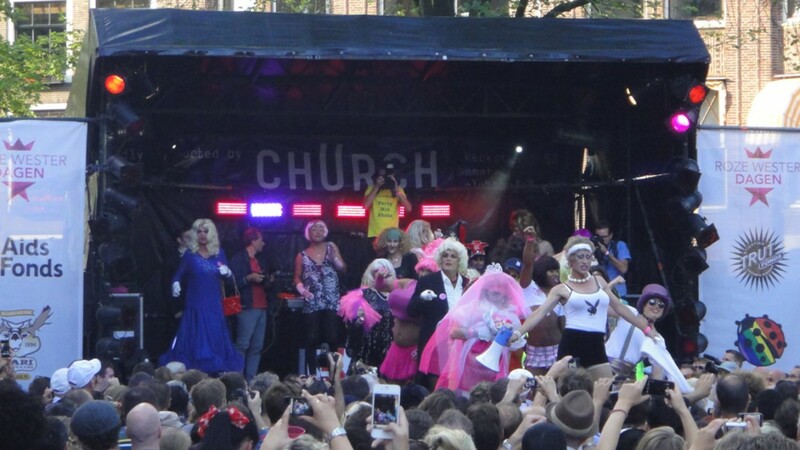 And an impression of the Drag Olympics. A very fun event on the Friday evening before the Canal Parade. 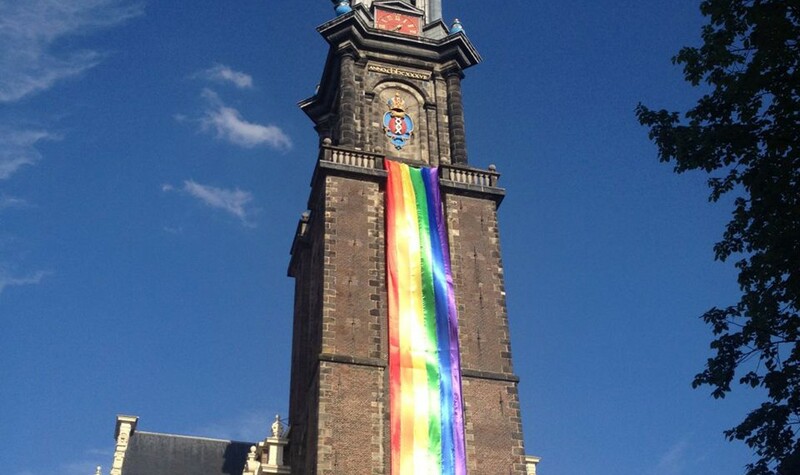 Amsterdam Gay Pride – and any other pride in the world – fights for inclusion, acceptation, equal rights and common respect for lesbians, gays, bisexuals, transgenders and intersexed. Not just in Amsterdam, but worldwide. 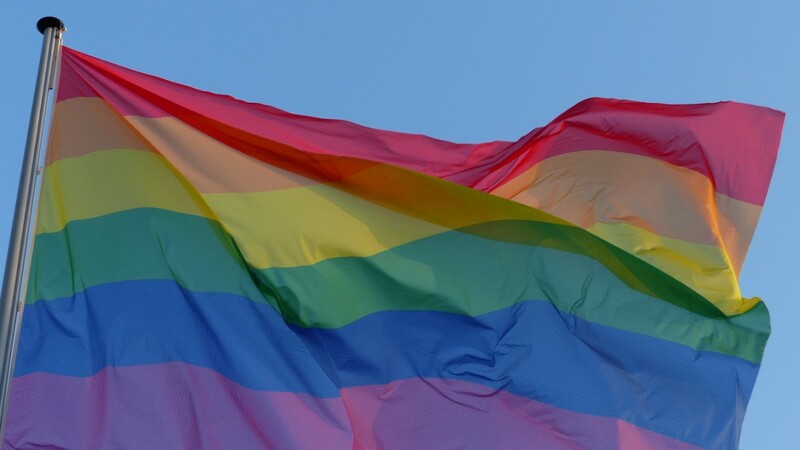 Therefore we give a pride week like this a 2 for human/social consciousness.